Michel Thomas believed that the greatest barrier to any form of learning was stress: stress from worrying about remembering what you are being taught, stress from being afraid to make a mistake, stress from failing. The classroom situation in the recording takes the pressure off of you learning on your own. You enjoy the students’ success, and you learn from their mistakes. The students on the recordings are not reading from scripts and they have received no additional instruction or preparation – just the guidance you hear on the recording. You, as the learner, become the third student and participate actively in the class. You learn through your own language, so there's no anxiety. With the Michel Thomas Method, all the attention is focused on removing stress and tension from the learning environment. Through the instructional method, the teacher takes on full responsibility for your understanding, and therefore your remembering, of what is being taught. 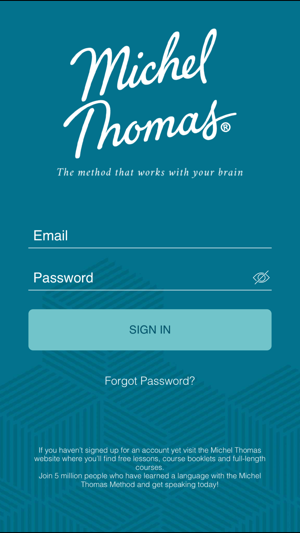 In fact, the Michel Thomas Method forbids you from trying to memorize. There’s no writing, no books, no homework. From very early in the course, you will realise that this extraordinary method works! You do remember, and very soon you begin to feel the true excitement of learning, and this is what motivates you to keep going, often not wanting to stop! 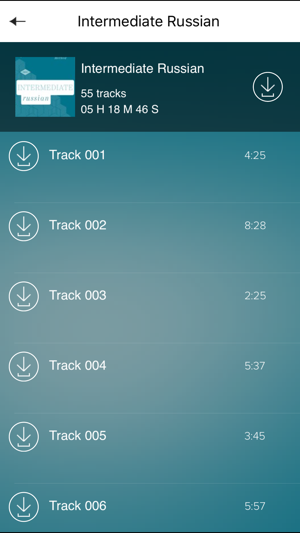 The courses are all-audio, recorded live in a studio with two real students. 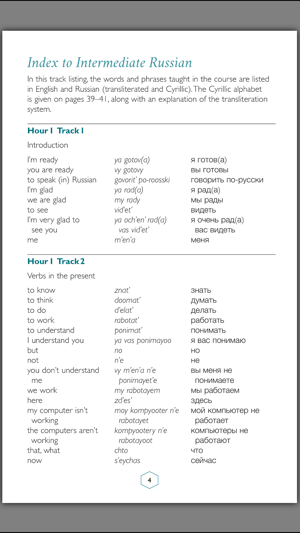 Each language is learned in 'real-time' conditions. There is no need to stop for homework, additional exercises or vocabulary memorization. The emphasis is instead on giving yourself time to think out responses to the teacher’s prompts; by thinking things through, you will be embedding the language in your brain in the way that research has shown to be the most effective way of transferring information to your long-term memory. From the outset you will be speaking real sentences. Vocabulary is kept to a minimum; the focus is on understanding the structure of the language, so you can build your own sentences and go on to transfer your knowledge to a wide range of situations. Progress is phenomenally fast and refreshingly effortless. This app does not offer in-app purchase. If you’d like to purchase a course, please visit the website and join 5 million people who have learned a language with the Michel Thomas Method and get speaking today! Beautiful method. I’ve just completed the Intermediate Spanish course, started Spanish almost from scratch and the results are amazing. I’m listening to it while driving, do all the drills while driving, re-listen if needed. Simple, fast, very efficient. Way better than any other language learning system (I tried quite a few, including pricey ones + tutors). 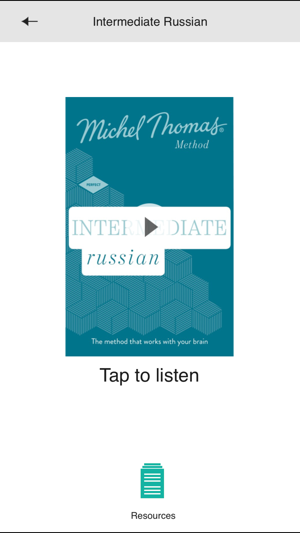 I decided to use the following system: pick a language, so whatever Michel Thomas has on it and then switch to reading and tutors. I saw a comment about app disappearing. I didn’t have that problem but when I had a question, I wrote to the company via Facebook (just search Michel Thomas Method) and they answered within a day or two. Try that. This course is so useful because I can just listen anywhere and it makes me think. I can retain everything I learn. The delivery through the app is very simple and user friendly. No annoying games or tokens. 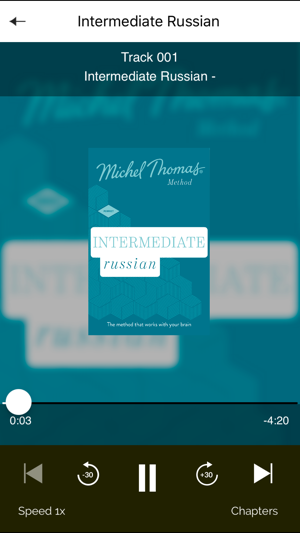 I purchased a German course for $76.20 from the Official Michel Thomas app in the App Store. Soon the app disappeared from the store, the newer version appeared which requires login, and I my purchased classes are gone.